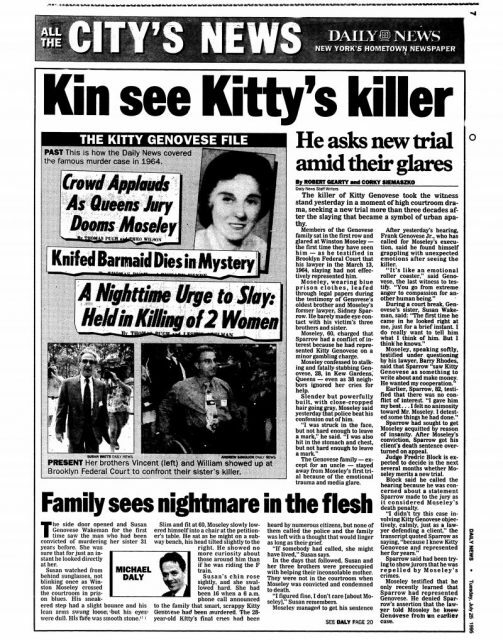 Catherine “Kitty” Genovese was a 28-year-old woman who was brutally murdered outside of her Queens apartment in New York City on March 13, 1964. Genovese’s attack lasted around 30 minutes as she was stabbed 14 times by a man named Winston Moseley. 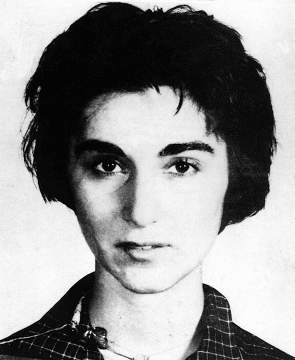 It was originally reported that there were 38 bystanders who turned their back on Genovese’s early morning cries for help, shutting their doors to silence her screams. 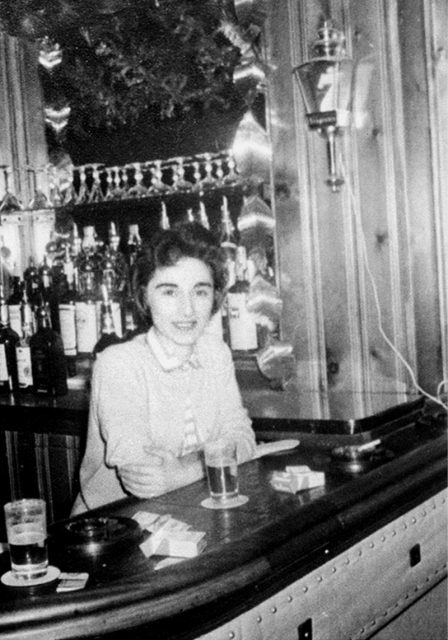 It was around 3 o’clock in the morning when Genovese arrived home from managing a local bar where she worked. She parked her car and started walking towards her apartment building, when she noticed a man standing at the corner end of the parking lot. Genovese nervously kept walking. Moseley had caught up to her, close to her apartment building, when he took his first stab. She screamed for help, but nobody came to her rescue. According to various reports, a man heard Genovese’s screams only to shout out of his window for the man to leave her alone. Apparently, Moseley walked away and in the direction of his car. 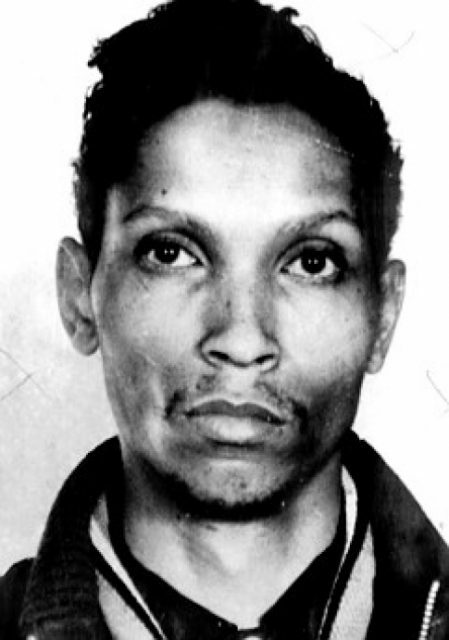 Detail of New York Police Department booking photograph (mugshot) April 1, 1964. Genovese barely made it to her feet, using the last bit of her energy as she staggered her way around the building towards her apartment. She struggled as she finally reached the door, but any hope she had quickly vanished as Moseley came back to make his final attack, stabbing her several times. A neighbor finally called the police, but it was not until 3:50 am, too late to save Genovese’s life. When emergency responders and police arrived, there were only two fellow neighbors on the street, and one of them was reportedly a 70-year-old woman who cradled Genovese as her life slipped away. 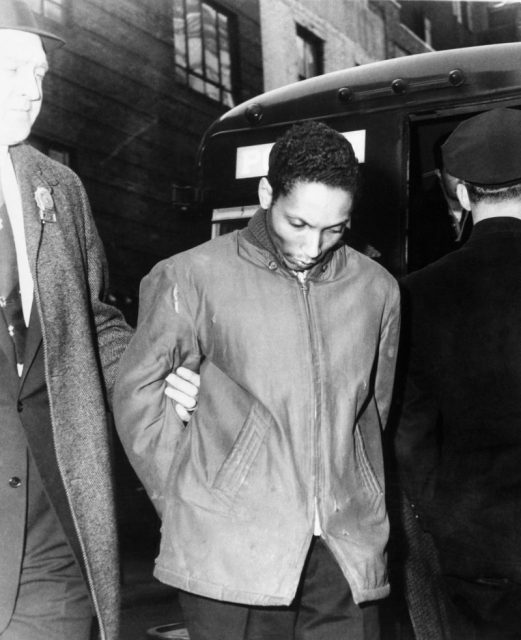 Not long after her murder, the New York Times published an article written by journalist Martin Gansberg with the headline, “37 Who Saw Murder Didn’t Call the Police,” describing the shocking murder and the lack of feeling of her neighbors. But accounts of what took place that night have been challenged time and time again. There were many flaws in the original story, which the New York Times years later acknowledged as faulty. In fact, there’s no evidence of 38 bystanders who witnessed or observed the attack against Genovese. Upon further investigation, the facts have appeared to be considerably different. When questioned, neighbors told the police they thought it was a drunken quarrel or a domestic dispute, and they wanted to stay out of it. However, there was doubtlessly inaction, and those who did hear Genovese’s cries for help did not act until it was too late. The most notorious American Gangsters of the Prohibition Era. 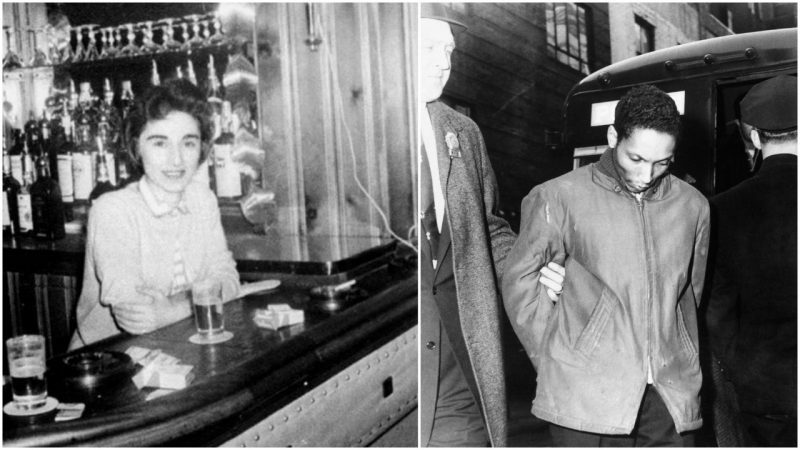 Regardless of the countless stories that were reported about Genovese’s murder, many questions remain unanswered, even 50 years later. The story caught nationwide attention, especially from psychologists. The event resulted in the research that led to “the Bystander Effect,” a term coined by psychologists Bibb Latané and John Darley. The Bystander Effect occurs when the greater the number of people who witness a person in need of emergency help, the less likely an observer will take action. In any psychology textbook and classes today, you will almost certainly learn about the Bystander Effect and learn of its origins. 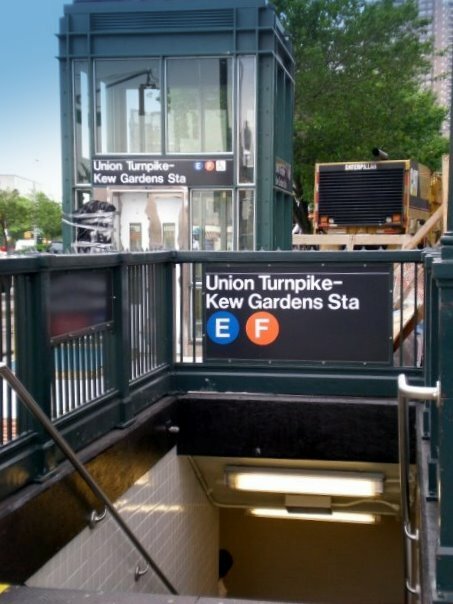 While the murder of Genovese became the subject of significant news over the last 50 years, it is known less for the details of the murder itself, than it is for the circumstances that followed. From her terrifying death came not only the Bystander Effect but also the 911 emergency system and the Good Samaritan laws. In fact, before 1968, the only way to reach the police was by dialing “0” to reach an operator in hopes they were not too busy to transfer your call. Moseley was sentenced to life in prison. He died in prison in 2016. Until his death, he was considered the longest-serving inmate in New York state, and while some may remember him as that, it is the impact of Genovese’s tragic story and unanswered cries for help that will continue live on for decades to come. Kristin Thomas is a freelance journalist currently residing in the port city of A Coruña, Spain. She has a keen interest in pre-1970’s pop culture, history of occultism, and the obscure.